Brighten your life with OFM’s Essentials ESS-9002-16PK LED Lamp Light. This unique lamp creates a contemporary accent for your home office, dorm room, or workspace. This desk lamp is a no fuss, no bulbs required LED light that provides amazing white accents at 300 Lumens. The soft rubber footing enables the lamp to remain on a surface without scratching it. 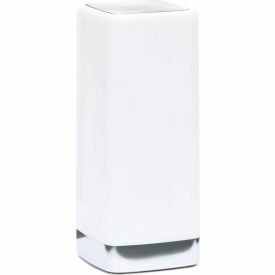 The lamp comes in a classic and simple white design allowing the harmonization of your space to be seamless and simple. 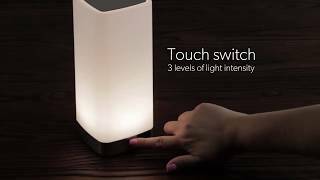 The lamp is complete with a chrome strip, touch activated on and off base, that allows the lamp to transition between 3 levels of brightness and provides over 20,000 hrs. of life. This lamp boasts a detachable cord with a built in USB charging port for you electronics. No matter the setting, this contemporary and stylish lamp is affordable at any budget and comes in a pack of 16. Power consumption 19.5 Watts.